I don’t know about you, but I don’t look so hot after a workout… But that’s where BLOWN Bly Dry Studio wants to help! 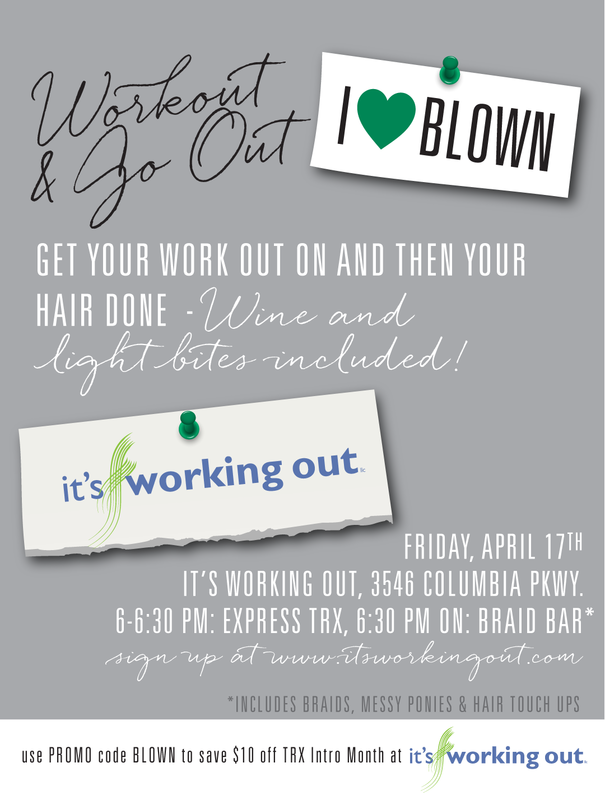 They’re hosting an event with “It’s Working Out” for an Express TRX session and braid bar! Sounds fun! BLOWN Blow Dry Studio is offering some new classes that’ll let you and your little lady celebrate some Mommy & Me time — and learn some braiding lessons in the process! With these Braid 101 sessions, you and your daughter will learn how to do 3 braids: simple, snake & french braid. *$35 for both you and your daughter. If interested, CLICK HERE. You can check out their website for future classes.